Making the decision to invest in a new home addition is never one that you come to lightly. Home additions can be a major investment for your home, but if they are done right, they can also have a massively positive impact on the overall function and layout of your home. Investing in a new home addition can be a great way to give yourself a bit of extra livable space inside your home, which can be very important if you are planning on living in it for some time to come, as well as help you customize your home to better fit with your specific needs and personal tastes. 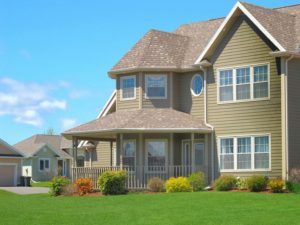 With all of that being said, there are a number of different reasons that homeowners all over the country choose to invest in these kinds of projects, and to help those of you who might still be on the fence about whether or not this is the right investment for your home, we invite you to take a quick read through this short article our team of professionals have put together that goes over several of the most common reasons that homeowners choose to do so. Kitchen updates are easily one of the most popular remodeling projects out there these days, but many homeowners find themselves in a position where they aren’t able to create their dream kitchen space largely because of issues with space. However, by investing in a new home addition as part of your kitchen remodel, you can create the extra space you need to expand your kitchen to your heart’s content, giving you virtually unlimited options when it comes to designing your dream kitchen space. Having a master bedroom and bathroom suite combination is almost a must-have in most modern homes these days, and if your home is one of the few out there that doesn’t have one, you are truly missing. There is no need to despair, however, because with a home addition project, you can expand the layout of your master bedroom and install your own private bathroom, giving you the private master suite that you’ve always wanted for your home. If you are one of the many homeowners out there who love to entertain, but don’t have the kind of space you need to do so like you want to, a home addition project is definitely something to consider. With the right home addition, you can create the custom entertaining space that you’ve always wanted for your home. Whether you are looking for a space that allows you to incorporate all of your media equipment and make that personal home theater you’ve always dreamed of, you are looking for a new spot to build your man-cave, or you are just looking to create a social space that will help to make your next social gathering a bit more comfortable, a home addition will allow you to do so. If you are looking for a Rhode Island remodeling contractor, give us a call today at 401-434-6600 or fill out our online request form.